Re-Os isotope geochemistry, source rocks, hydrocarbons, and sulfides. Global metallogeny and ore genesis using absolute time as a correlation tool for dynamic, deep fluid-enhanced events associated with metal mobility and enrichment. Sequestration and release of metals in sedimentary rocks. Holistic interpretations for resource genesis relevant to 21st century exploration. CHRONOS (2012-2017), chronostratigraphy and correlations, Re-Os calibration of marine and terrestrial records; NSF (2011-2013), Re-Os geochemistry to test recurrent fluid flow in the crust, orogenic belts in central India; Twenty additional projects of 1-2 years duration on topics covering (1) hydrocarbon maturation and migration through Re-Os isotope geochemistry, (2) Re-Os dating of molybdenite, pyrite and other sulfides, and (3) ore genesis and source to site processes. Locations for this work span the globe, with a focus on Arctic regions. Reviewers consistently describe Stein’s work as highly creative and on task for tackling geologic issues in new and innovative ways. Dr. Stein is widely known for her solid understanding of all types of ore deposits and has visited, sampled, and dated many of these deposits globally. In her words, “you are what you’ve seen”, which means the more you’ve seen of the planet, the more informed your connections and correlations of events. She started her career in the mineral industry, logging core and mapping underground – a muddy hands-on start that was pivotal to her success. Shortly thereafter, she joined the U.S. Geological Survey where early success and productivity lead to an internal research fellowship in 1992-1993. Departing the USGS in 1995 to fulfill important scientific goals, she founded the AIRIE Program at Colorado State University. The AIRIE Program is dedicated to development and application of Re-Os technology in geoscience. The relevance and scientific vitality of the AIRIE Program is exemplary – since its inception, all salaries and operating expenses have been covered by funding external to Colorado State University, a feat in itself. Perhaps Stein’s greatest achievement is the partnership she forged with Norway sparked by a Fulbright research award in 2000 at the Geological Survey of Norway. At first, the focus was Re-Os dating of molybdenite. By 2005, however, Stein began to shift her career away from metallic mineral resources and toward source rocks for hydrocarbons and the timing of hydrocarbon migration. Norway provided a welcoming venue and a testing ground with its molybdenite-bearing ore deposits, offshore hydrocarbon resources, and interests in the Arctic. Stein’s work was backed by the Norwegian Research Council (Petromaks) and is now backed by the Norwegian petroleum industry. She has received twelve grants from the U.S. National Science Foundation, eight of them as lead-PI. Stein earned her M.S. and Ph.D. degrees at the University of North Carolina at Chapel Hill, and her B.S. at Western Illinois University. 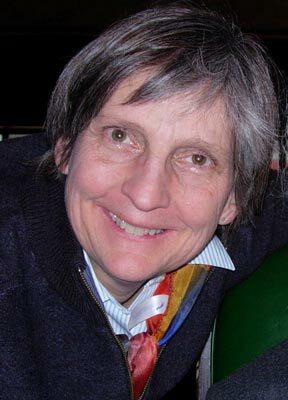 She received the prestigious Helmholtz-Humboldt Research Prize in 2008 for her pioneering development of the Re-Os chronometer in molybdenite, and the Silver Medal from the Society for Economic Geologists in 2005 for excellence and original work in the geology of mineral deposits.